German BGH – Does YouTube Perform Acts of Communication to the Public? The right of communication to the public (Article 3 Information Society Directive) is well-established in the Court of Justice of the European Union’s (“Court”) case-law: it no longer only encompasses more physical matters, such as broadcasting of television in hotels (SGAE, C-306/05), but also digital matters, such as linking to copyright infringing content (GS Media, C-160/15) and operating a platform on which copyright infringing content is shared (The Pirate Bay, C-610/15). The European Union’s (“EU”) co-legislator is now also involved in the development of the right of communication to the public, namely through the future enactment of a new piece of copyright legislation: the Copyright in the Digital Single Market Directive (“DSMD”). The legislative process of the DSMD has generated a lot of buzz, especially over the last few months. Most notably, the negotiations regarding Article 13 DSMD continue to puzzle many and create a divide: do online content sharing service provider platforms, such as YouTube and Instagram, perform acts of communication to the public when their users upload copyright infringing content to their platforms? The recent suspension of the last trilogue negotiation due to a disagreement on Article 13 DSMD demonstrates the provision’s controversial nature. However, it is not only the EU’s co-legislator that is involved in this particular development: the Court is too. On 13 September 2018, the Bundesgerichtshof (Federal Court of Justice, “BGH”) referred six questions to the Court (C-682/18). Most notably, with its first question, the BGH asks, in essence, whether an online video sharing platform, such as YouTube, performs an act of communication to the public within the meaning of Article 3 Information Society Directive when its users upload copyright infringing content to its platform. 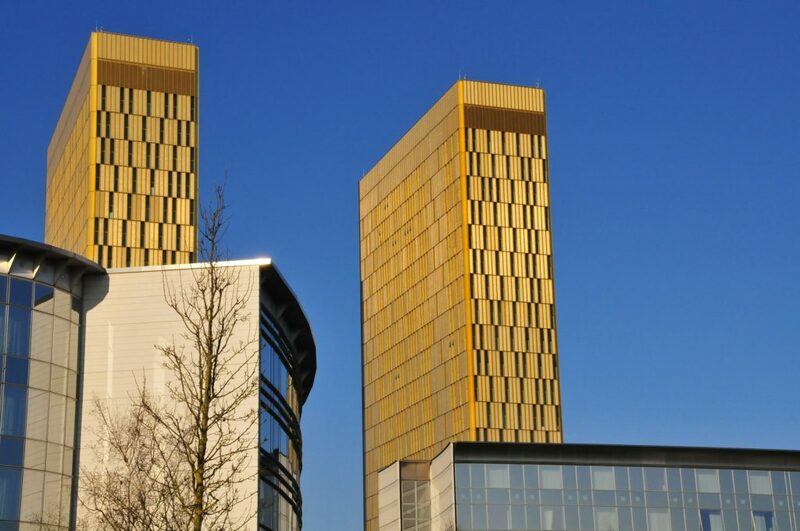 Consequently, the Court finds itself in a position to settle the negotiations regarding Article 13 DSMD before the EU’s co-legislator does, or to declare the final version of Article 13 DSMD invalid. Moreover, the Court has the opportunity to illustrate how its case-law regarding the right of communication to the public should be applied to online video sharing platforms. Before delving further into this case-law and its relation to the present case (section 3), I will briefly describe the dispute at issue, and provide a more in-depth description of the first preliminary question (section 2). I conclude with final remarks (section 4). The German proceedings concern a dispute between the plaintiff, a music producer and co-owner of a music publishing house, and YouTube, the online video sharing platform. The dispute arose in November 2008 after videos were uploaded to YouTube that infringed the plaintiff’s copyright. The plaintiff requested the takedown of these videos, which YouTube granted. However, shortly after the initial takedown of the videos, some videos resurfaced on the platform, which led to judicial proceedings and, ultimately, to the BGH referring six questions to the CJEU for a preliminary ruling. the platform does not have actual knowledge of illegal activity or information, or upon obtaining such knowledge or awareness, acts expeditiously to remove or to disable access to the video. 3 Act of communication to the public? This is not the first case in which the Court has been asked to give a ruling regarding the right of communication to the public. The Court established in GS Media (C-160/15) and The Pirate Bay (C-610/15) that knowledge is the yardstick for determining whether an act of communication to the public occurs in relation to unauthorized content. In GS Media, the Court ruled that linking to copyright infringing content constitutes an act of communication to the public if the sharer of that link knew or ought to have known that the link provides access to copyright infringing content. Building on the rule set out in GS Media, the Court held in The Pirate Bay that the operator of an online sharing platform performs an act of communication to the public if it, with full knowledge of the relevant facts, provides its clients with access to copyright infringing content. The question thus arises to what extent YouTube has knowledge of the copyright infringing content on its platform. In The Pirate Bay, the Court attached great weight to the platform’s search engine function and categorisation system. YouTube too has a well-functioning search engine function and categorisation system. Furthermore, the Court previously noted that it is mainly copyright infringing content that is shared on The Pirate Bay. To be sure, YouTube appears to host predominantly non-infringing material. Nevertheless, plenty of copyright infringing content is also shared on the platform. Taking the Court’s The Pirate Bay ruling into consideration, one could argue that YouTube performs an act of communication to the public when its users upload copyright infringing material to its platform. However, there is one striking difference between The Pirate Bay and YouTube: YouTube does not intend that its platform be used to infringe third parties’ copyright. In fact, YouTube prohibits its users from uploading videos that infringe copyright, whereas The Pirate Bay encourages its users to upload unauthorised content. Furthermore, YouTube has taken technical precautions that provide rightsholders with tools to have videos removed that infringe their copyright: the Copyright Takedown Notice, the Content ID software, and the Content Verification Programme. In relation to these tools, the BGH suggests that YouTube does not play such an indispensable role as long as it acts expeditiously to remove or to disable access to an infringing video, upon obtaining knowledge or awareness of it. It is to be determined by the Court whether these precautions establish that YouTube does not perform an act of communication to the public. There is uncertainty regarding the scope of the right of communication to the public: do online video sharing platforms perform an act of communication to the public when their users upload copyright infringing content to their platforms? Many have their eyes on the EU’s co-legislator and, in particular, the yet-to-be-decided final text of Article 13 DSMD. However, the question referred to the Court by the BGH deserves equal attention, since it provides the Court with the opportunity to settle the negotiations regarding Article 13 DSMD before the EU’s legislator does, or to declare the final version of Article 13 DSMD invalid. In fact, representatives of the audio-visual industry have recently called for a suspension of negotiations on Article 13 DSMD on the grounds that, inter alia, the EU’s co-legislators should wait for the judgment of the Court in this case. Moreover, a ruling by the Court will also illustrate how the case of online video sharing platforms fits with the Court’s previous case-law mentioned in this post. We should thus patiently await the CJEU’s preliminary ruling for guidance.